Hello, friend! 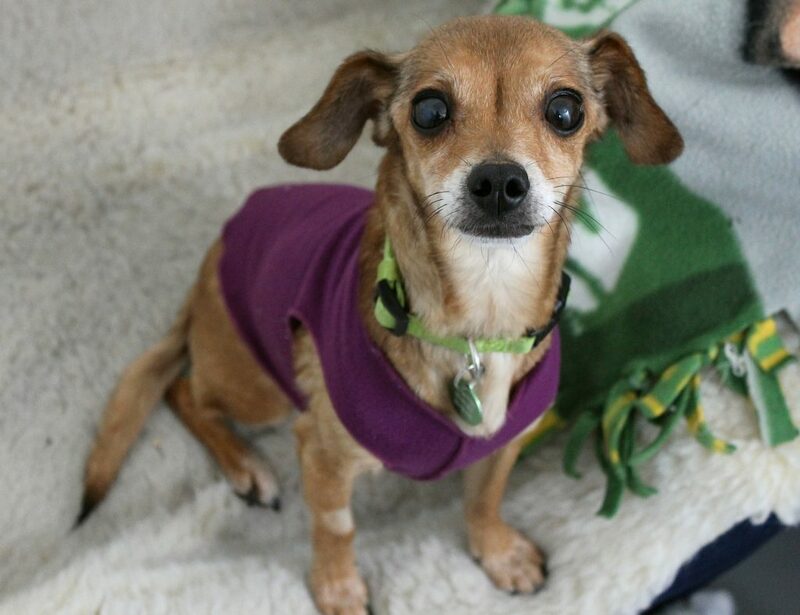 My name is Luanne and I am a sweetheart 6-7 year old Chiweenie weighing in at only 7lbs. Though I may be small, my heart is big, and I am so ready to share my love with you! I am a great companion pup who would be happy snuggling with you all day. I still like sniffing around outside and going for short potty walks, but in a bit of quieter area versus downtown. Apartment life is not for me and would much prefer a quieter owned on rented home with a little yard to sunbathe in. 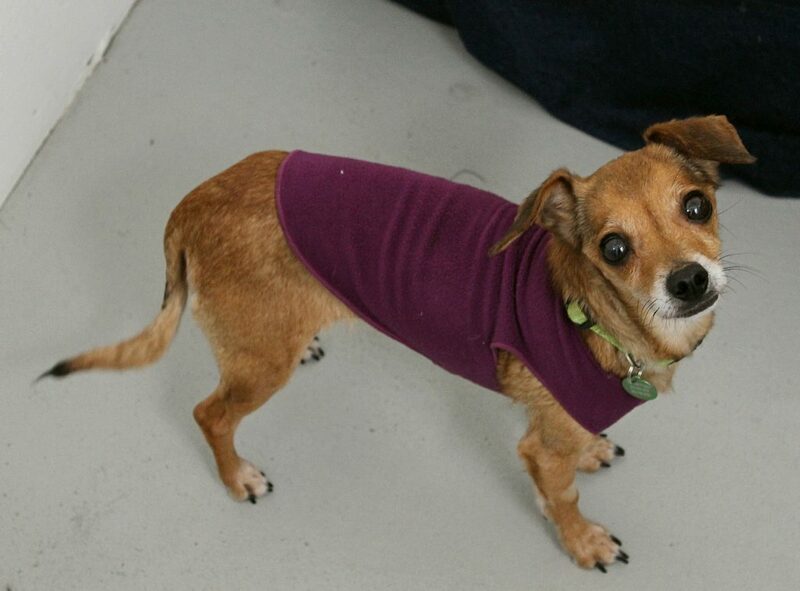 I am a pup that is eager to bond with my adult pals and whose cuddles can make anyone smile and feel good! I have been in play groups with some mellow dogs who I just kind of chill with, but would prefer to be the star of the show in the home. Though a dog savvy kitty would be ok too. 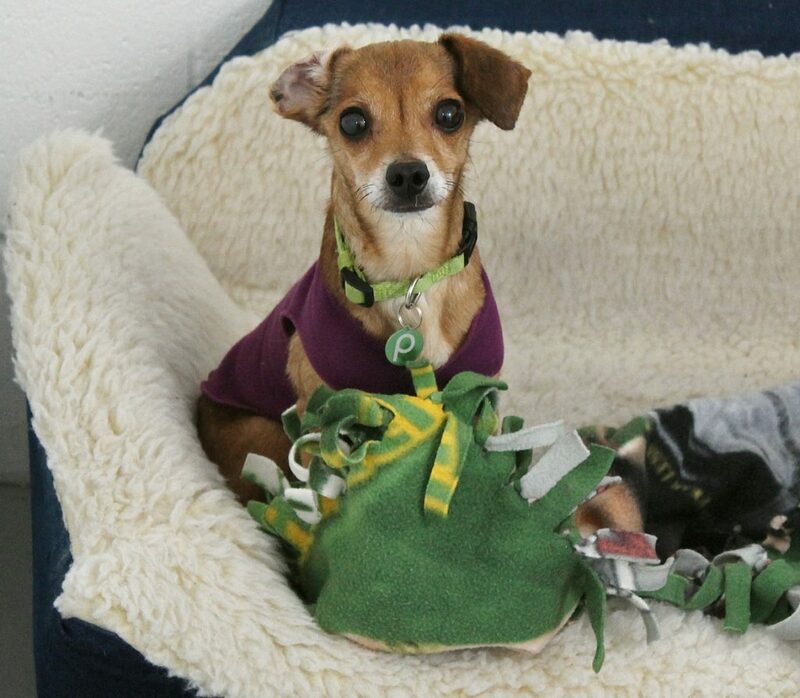 Overall, I am adorable and loving pup who just wants a lap to call my own. Will it be yours? Fill out an application, so we can meet! I come to you vaccinated, micro-chipped, and spayed with a recent dental and an adoption fee of $350.